« 7 Financial products so bad they should be an April fools joke! 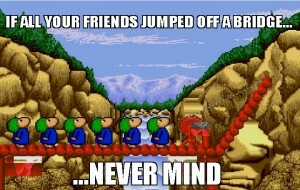 Well it wasn’t quite as painful, as luckily, these lemmings could follow some instructions. You could tell them to dig, or build a staircase, or give them an umbrella to use as a parachute, all to try and get these lemmings to the end of the level. Oddly, the end of the level seemed to be the gates of hell, maybe that should be a warning to some of those politicians! You could also hit the nuke button, and make all the lemmings explode, that wouldn’t help in any way, but it was fun to watch. So this game was extremely addictive, I could spend hours playing, but sometimes I’d get to a level you just couldn’t solve no matter how many times I tried. Then a little while later some fantastical thing called the internets arrived in South Africa. Using that I could go to this place called altavista and type in lemmings walkthrough and some very clever boy with no friends would have typed up the entire solution to finishing every single level. And now with this post, I hope to be that clever boy with no friends to some of you. So, if you’re a stock analyst then this post is not for you. If you’re a seasoned investor able to explain what a PEG ratio is and why it matters when picking stocks, then this post is also not for you. If you know which sectors of the stock market you should be invested in now, and which to avoid, yes you guessed it, this post is NOT FOR YOU! On the other hand, if you believe the stock market is like gambling, this post is for you. If you wait for the red stop sign to turn green (I do that! ), this post is for you. If you thought the “Do not use underwater” sign on your toaster was a fair warning, this post is for you. If you haven’t got a clue where to start when investing on the stock market, this post is most certainly for you! And just to make it even sweeter, if you’re a complete newb or a totally useless stock picker like me, this post will make sure you actually do better than 80% of all the experts working in those big fancy glass buildings scattered around Sandton, or overlooking the freezing cold ocean in Cape Town. With a little effort, and by little I mean practically none, you should almost be guaranteed of getting better investment returns than the people who look at charts and numbers for so long that they end up burnt out, friendless and far poorer for all their efforts. This is one of those rare cases when less is definitely more. Less knowledge = more profit and less effort = greater gains. It might sound like a catch, but there’s no catch here, when it comes to stock market investing, your brains are your worst enemy. Now none of that is news to the regular readers, after all, I wrote about it here, here, here and a little more here, which is why I want this post to be the one you send to your market fearing husbands, unit trust holding mothers, barely knows where to turn on the computer grandmothers and any of the many spendosaurus friends you may have who seem to be suffering from a money allergy. The most common question I get from friends and relatives is “Can you help me get started with this investing thing?” or something along those lines. 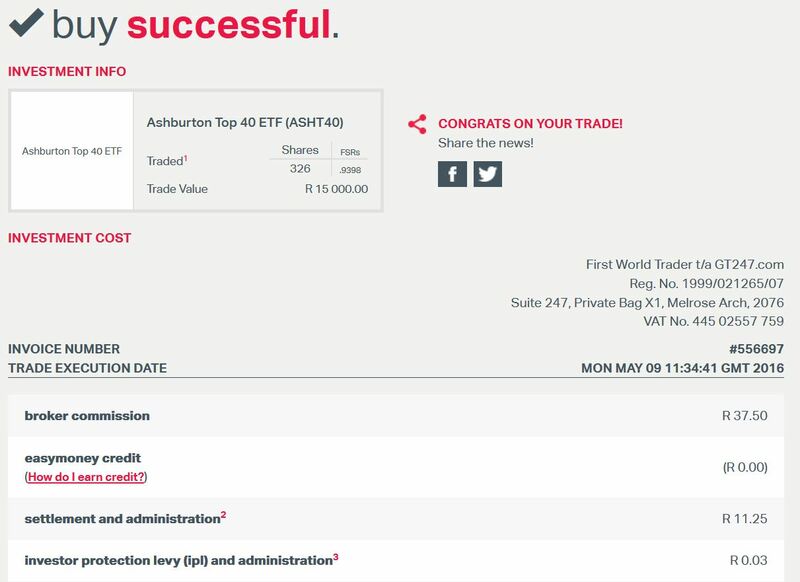 So, to save myself countless hours which would have been spent with yet another person helping them open their investment account and buy their first ETF, I’m going to try make an investing walkthrough. It really can be that easy, but there are a few pitfalls to avoid, so it would be best if you did in fact read on. So what do those numbers say to us? 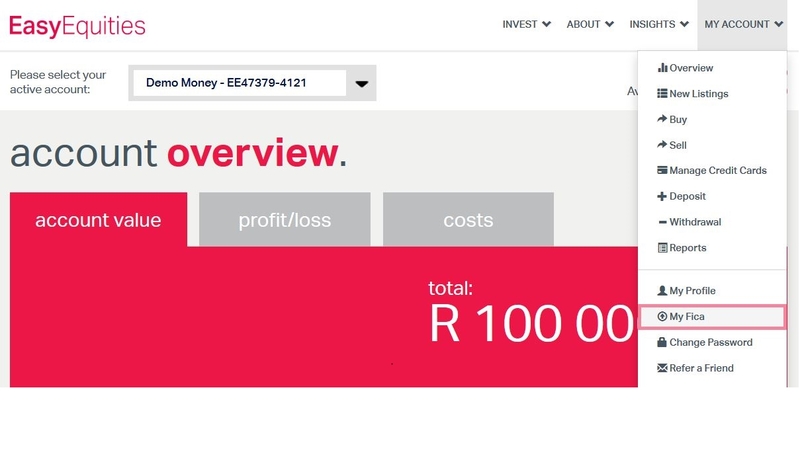 The ABSA stockbrokers regular stockbroking account IS NOT cheap anymore, but that’s actually completely OK, because you’re not interested in that account. All you want to buy are ETFs in any case, unless you’re able to see the future, in which case why are you even bothering to read this article since you already know the outcome! The ABSA stockbrokers tax free savings account is the cheapest investment account in the country full stop. 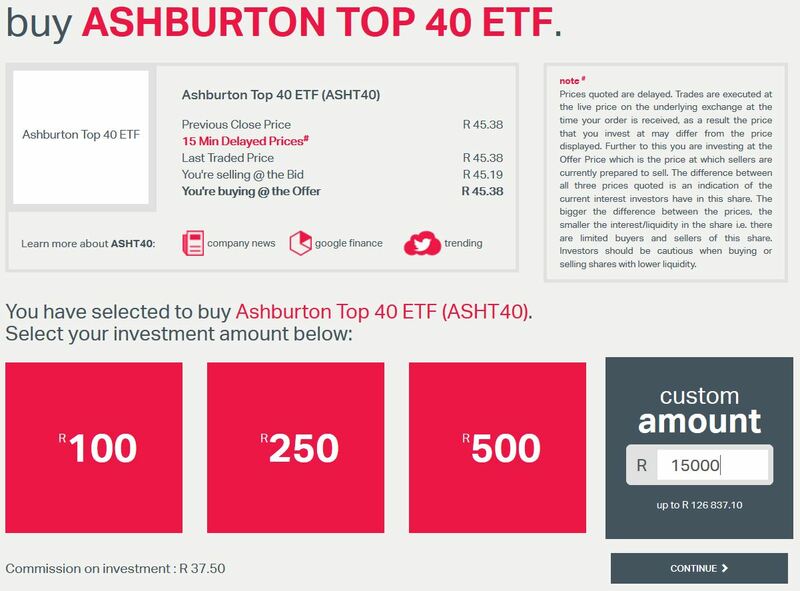 If you only have R2500 to invest and want you the absolute best bang for your buck then go with ABSA stockbrokers tax free savings account. 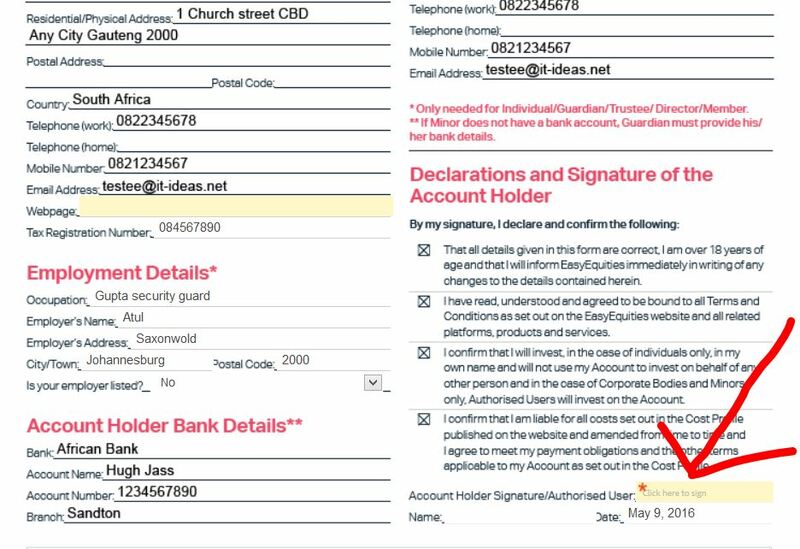 Edit: ABSA recently introduced an inactivity fee. This means they’ve gone from being the cheapest to a quite expensive TFSA. I can no longer recommend them. For non tax free investing, the minimum fee comes in to play. I’ve done the maths (see below), and I can tell you that the breakeven point is R10 000. 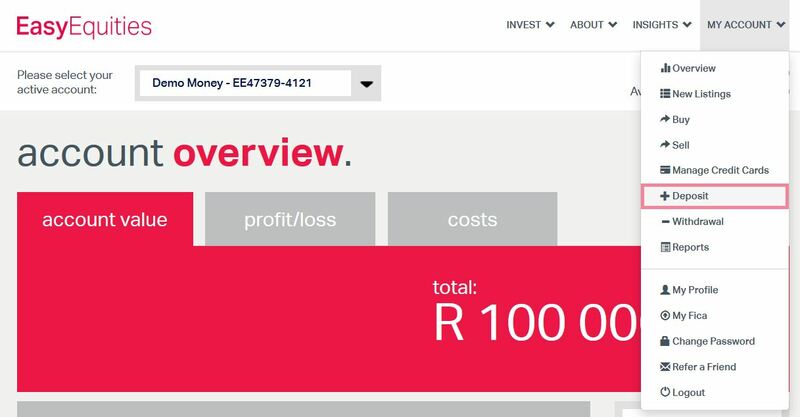 As I encourage everyone to invest their money as they’re paid every month, this would mean that if you have less than R10 000 a month to invest and want to go with one account that you should go with Easy Equities. 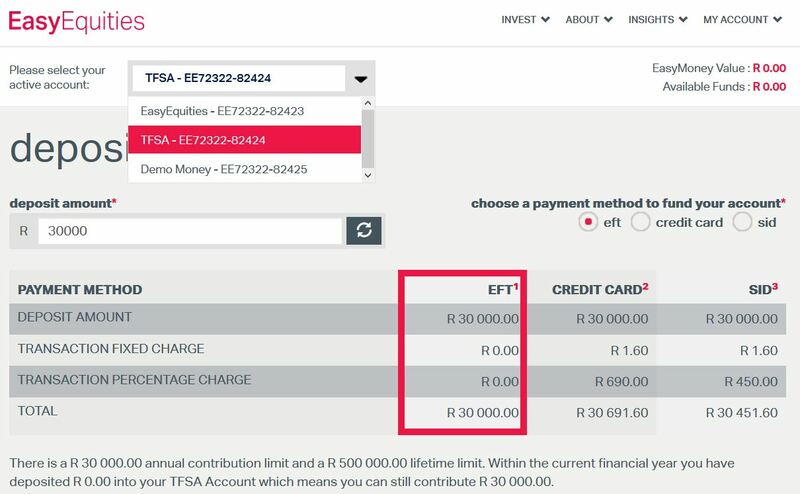 If you have more than R10 000 a month to invest, go with ABSA, putting the first R2500 into the TFSA and the rest into the ETF only account. For exactly R10 000 on the dot, costs don’t matter! Who’s the cheapest broker in SA? 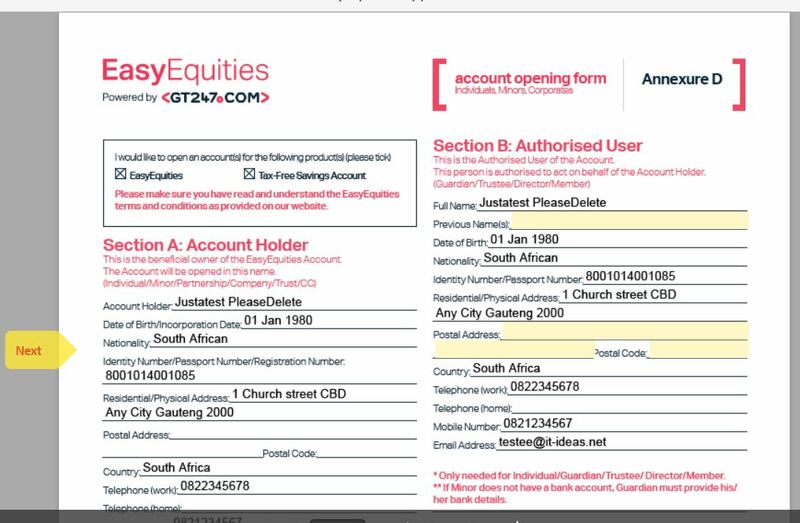 If you have under R10 000 a month to invest, use Easy Equities, over R10 000 use ABSA, exactly R10 000, it doesn’t matter! 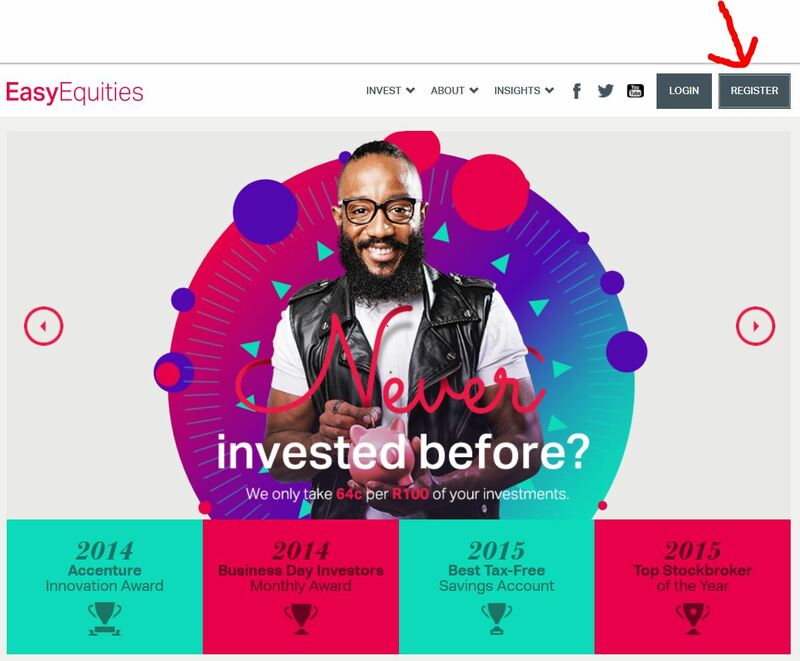 Go to www.easyequities.co.za (or click on this slide to go right there) and click on register in the top right. 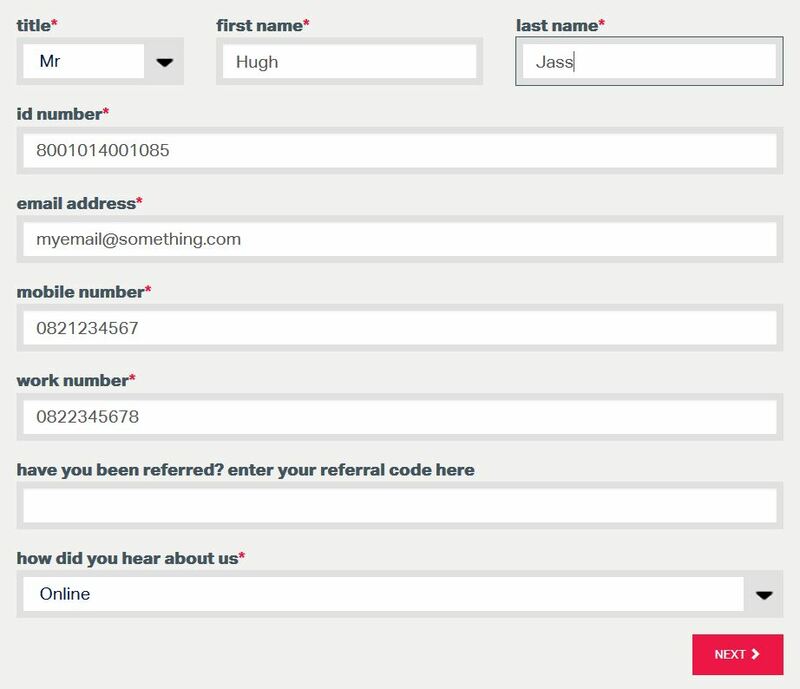 Enter all your personal details. *If you feel like being kind to me, you can use my account number (EE47379) as a reference and I'll get R50 off my future transaction fees! 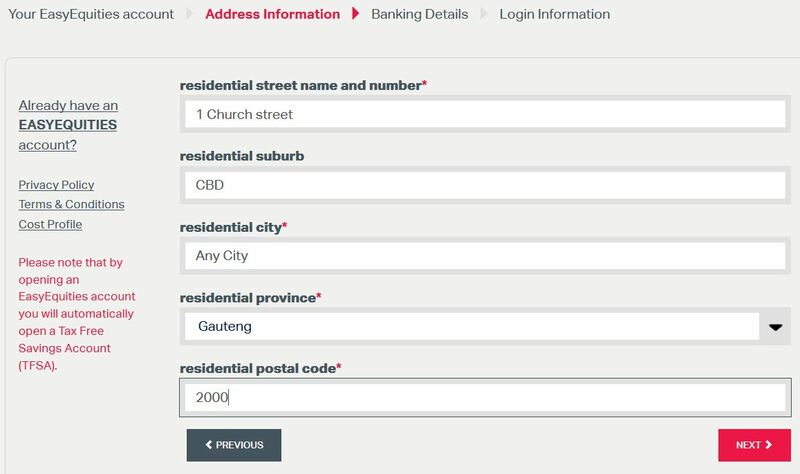 Enter your address to keep the FICA clowns happy. 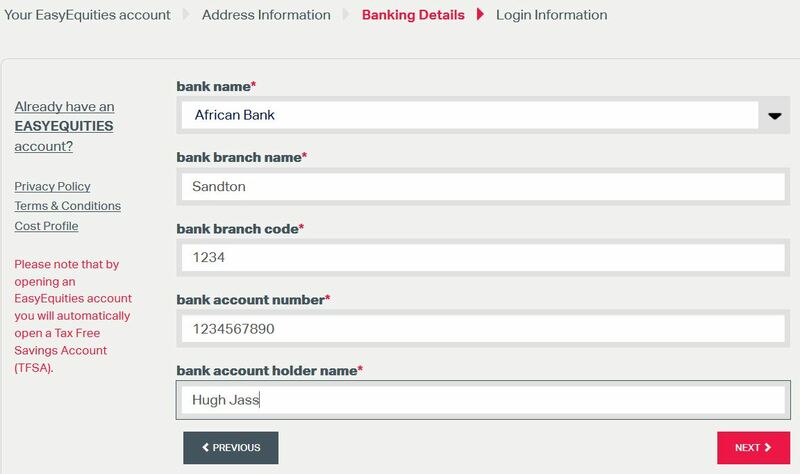 Enter your banking details. This is crucial because you will most likely want to start drawing on your investments one day, and this is the bank account the cash will be sent to! Now it's time to choose your username and password. It'll need to have a capital letter and a number in it. 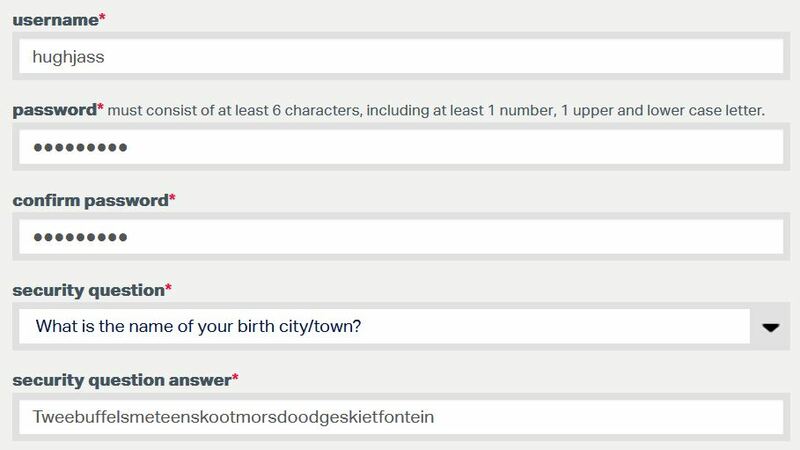 Please don't choose Password1! Before you carry on, you need to FICA your account. Fortunately it isn't too difficult. 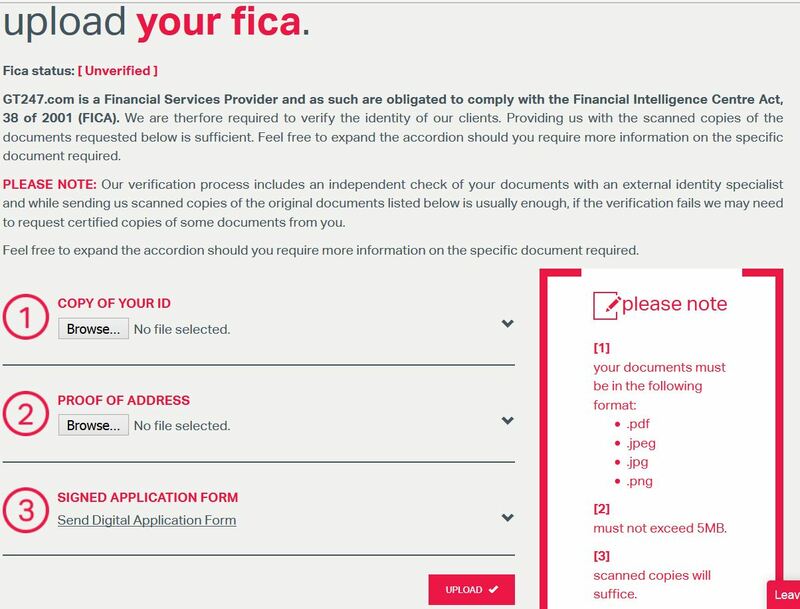 Click on "My Account" on the top right, and then "My Fica" as seen above. 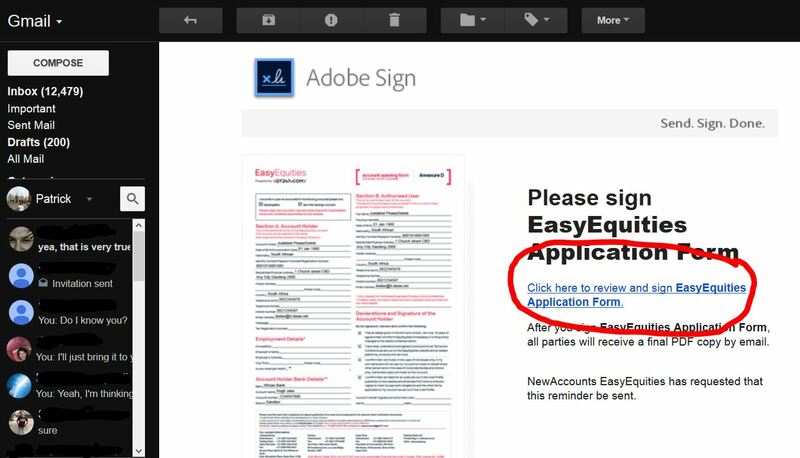 Thankfully EE doesn't usually need police certified documents. Click on browse for points 1 and 2, then click on "Send Digital Application Form" under point 3. Now check your email, you should have something from EE. You should be taken to an online registration form. Fill in all the relevant yellow fields. On the bottom right corner, click where it says click here. Then type your name in the block on top. Computer wizardry will then put it in your exact handwriting underneath. Next up, it's time to deposit money. Click on "MY ACCOUNT" and then on Deposit. 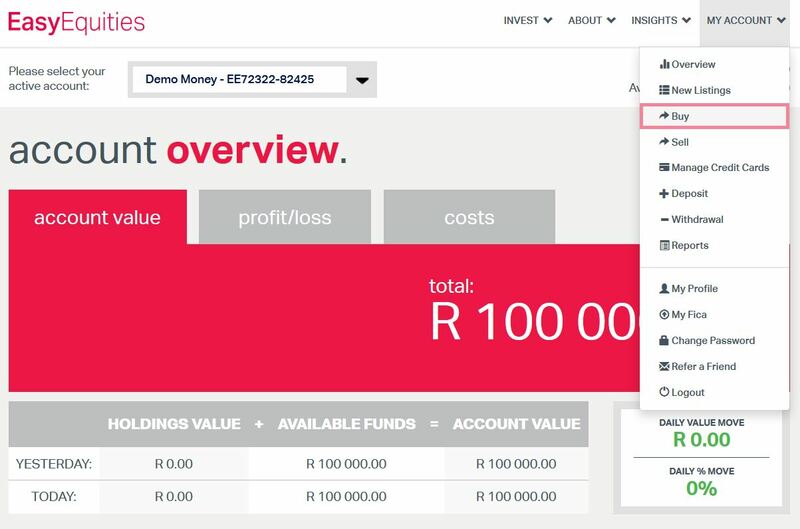 Please listen carefully as this is important: On the top of the screen change the dropdown to your Tax Free Savings Account. You always want to use your R33 000 annual TFSA allowance before you invest anywhere else, so until you've deposited R33 000, don't even bother with the regular account. Enter the amount you'd like to deposit, then make sure EFT is selected as it's the cheapest. 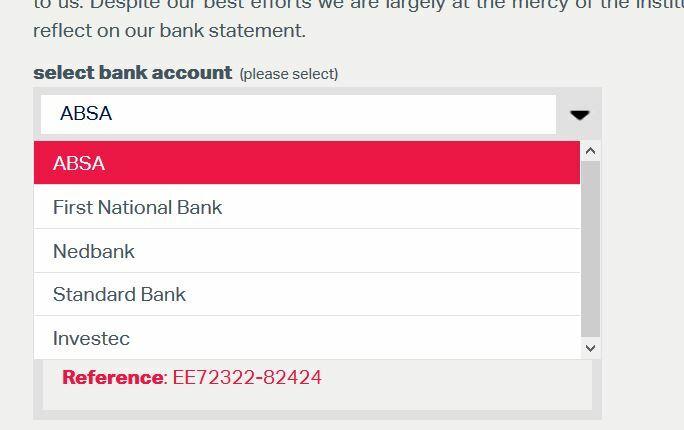 Then from the dropdown list, choose the bank account you'd like to use. 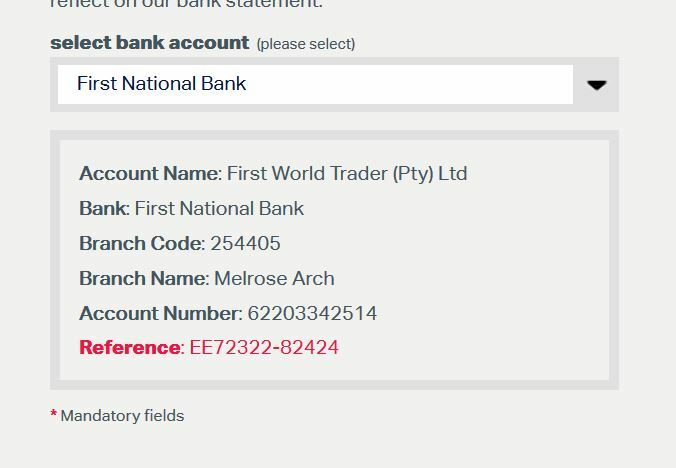 The big 4 banks, and Investec are listed, so if you're lucky the transaction will go through very quickly. 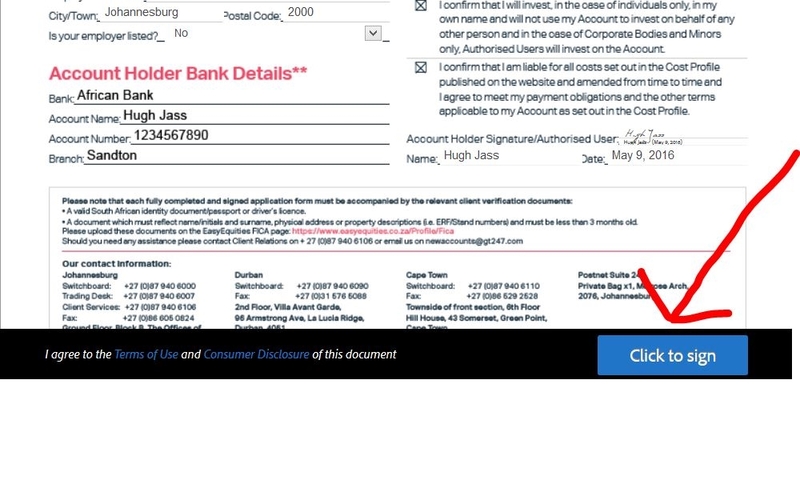 That will generate the banking details for you. 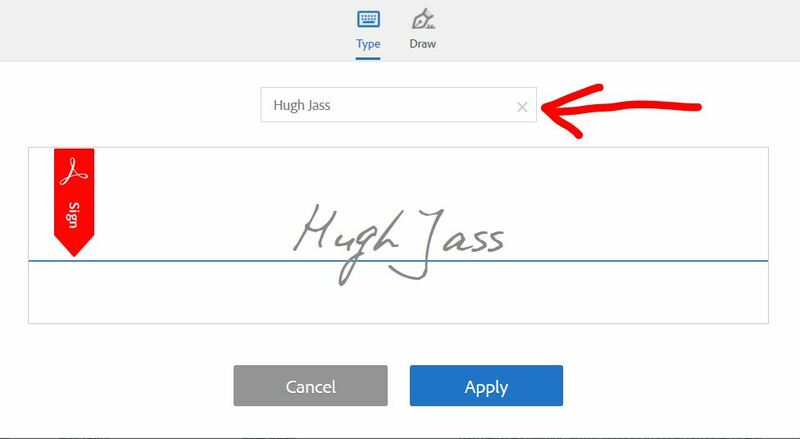 Go to your online banking and make the deposit, copying the full EEXXXXX-XXXXX in as your reference. At last, time to buy. I'll use my demo account here, and you can practice with that too, but then switch to your TFSA to invest for real. Click on "MY ACCOUNT" then on "Buy". 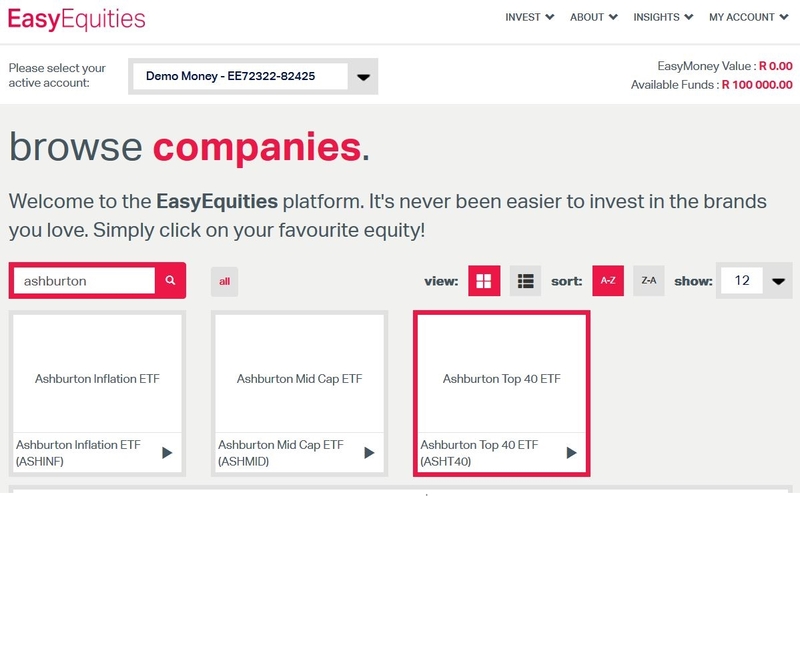 Now since you'd be working in your TFSA, you can choose from any ETF to buy. They all do different things, and cost different amounts in annual fees. 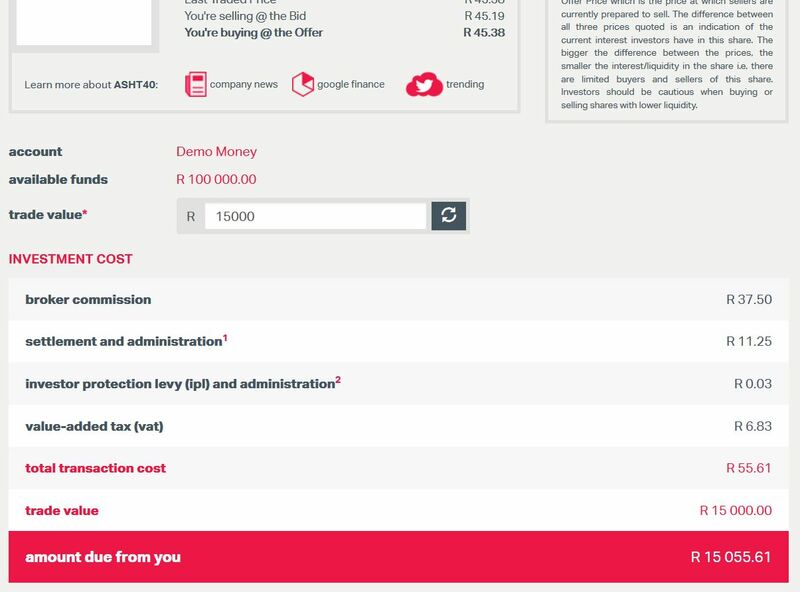 You can get an idea on how much they cost, and what they do by clicking on this slide which will open the webpage of ETFSA. That'll show you the cost under the TER column, and let you view the fund factsheet. If you have no clue, you could always do what I do and just buy the whole world - Satrix MSCI World ETF (STXWDM). In the next window, enter the amount you want to invest in the fund and hit "CONTINUE". Next you will see the total transaction costs listed. You can adjust your investment amount here and hit the refresh circle to get it updated. When you're ready, click on "INVEST NOW". Congratulations you rock star. You now own a tiny little piece practically every company in the developed world. You really do, you can now rest easy that when you buy your iPhone, a part of the profit comes back to you. That Castle or 7 you had last Saturday, yes you're a part owner of that company too. Same goes for Google, Vodacom, Netflix, Amazon and pretty much every other company you've heard of. You're on your way to becoming very wealthy indeed. Just give it a decade or two! Do you already have a stockbroking account? *Warning: You’re probably going to want to buy individual companies. Like I said above just don’t. There are most likely far smarter people than you doing the exact opposite. I’m not one of them, but believe me they’re there. Just buy the ETFs and sleep soundly at night, well at least until Zuma creates the next crises. ***In case you’re wondering: I get no money from any brokers for writing these articles.